Enjoy garden views from a seat in the middle of it all. 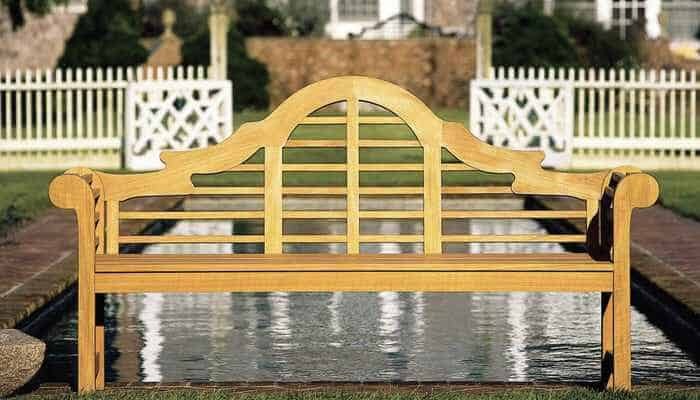 This Kingsley Bate Lutyens bench replicates the architectural design of the Lutyens bench in solid, hardwood teak. Natural in color and elegant in style, this bench blends in with various outdoor styles. Find this and other garden-worthy seating at Hildreth’s Patio Store. 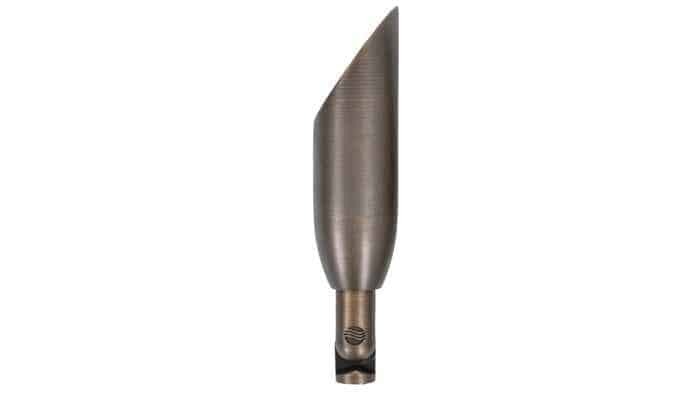 Light up your landscapes with a brass Coastal Source bullet lamp. The sleek and modern fixture is perfect for reducing glare when downlighting from trees or man-made structures. Available in various finishes, design is not lost on this crucial element. Ask for this at Hamptons Landscape Lighting to extend form and function to your home’s exteriors. Swiss designer Willy Guhl is known for his work with Eternit, a fibre cement, to create functional décor. 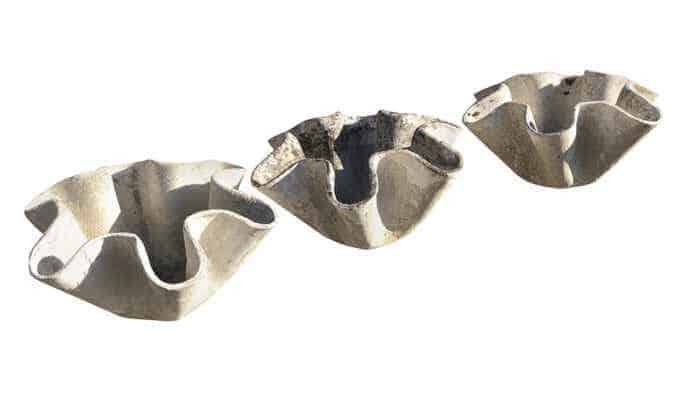 These lightly weathered biomorphic planters capitalize on the cement trend in design, while also serving as a beautiful centerpiece for curated garden spaces. Find this style at East Hampton Gardens this spring. Don’t have the green thumb for an apple tree? 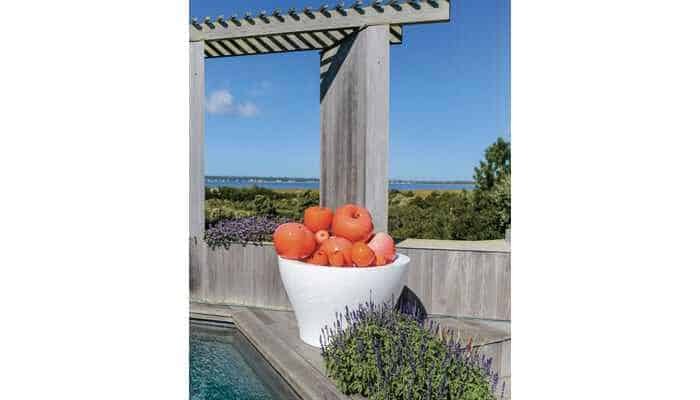 Make a sweet backyard statement with Couture Outdoor’s exclusive and iconic Big Apples. These bold, colorful, and lightweight apples come in a number of styles and eye-catching shades, and look beautiful bunched together. Though designed for indoor use, many prefer to use them outside and watch as they naturally fade into ombré colors. 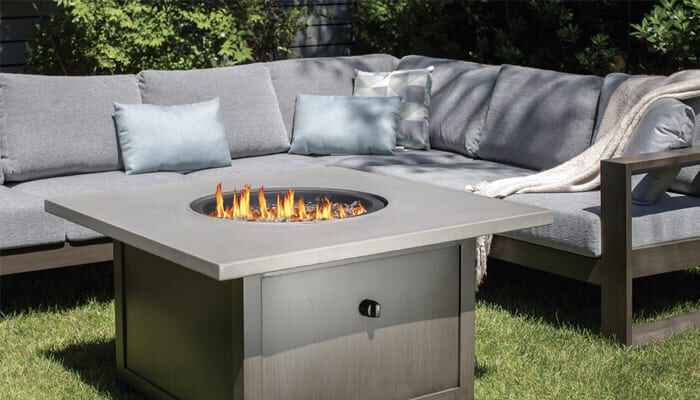 Sleek and circular, Ratana’s Elba round base fire pit is the perfect addition to your landscaped spaces to enjoy your garden well past sundown. Available in ash grey, country brown, and taupe, it is neutral enough to blend in with the natural hues of the outdoors. Add a touch of color with reflective fire glass for an extra glow. NEXT ARTICLE > Spring Sounds The Call For The Hamptons Garden Season To Begin. Time To Get Your Garden In Gear!